Your compact USB-C expansion hub. 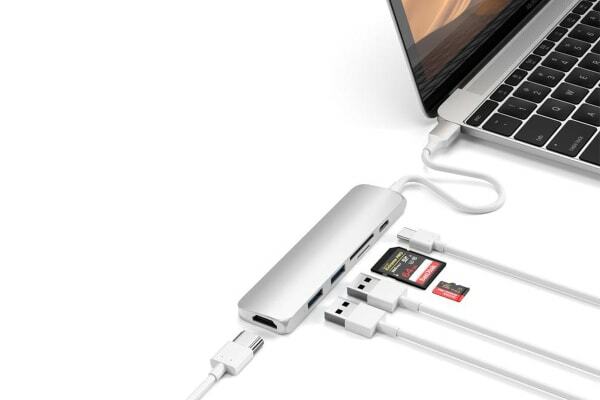 The Satechi Slim Type-C Multi-Port Adapter Version 2 seamlessly combines your essential ports into a sleek, compact device for expansion ports on-the-go. 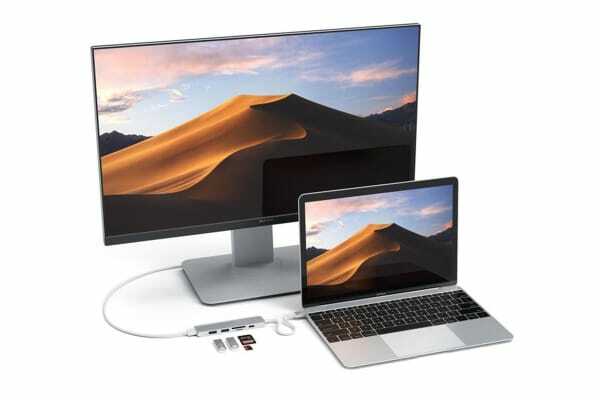 Small but powerful, the Satechi Slim Type-C Multi-Port Adapter Version 2 adds a micro/SD card reader, USB-C Power Delivery, 4K HDMI and USB 3.0 ports, all from a single USB-C port. Keep it stationed on your desktop or take it with you on-the-go, with a slim profile designed for maximum portability. Experience the benefits of USB-C Power Delivery protocol, with efficient power management and optimal charging speeds to quickly power your Type-C devices. Includes dual card reader slots for simultaneous micro and SD card access, up to 104Mb/s. Quickly transfer photos, download high-resolution videos or backup files with ease. Enjoy crisp, high-resolution display on any HDMI-enabled monitor. Simply connect a HDMI cable (2.0 or higher) from your monitor to adapter, for brilliant video output up to 4K @ 30Hz. 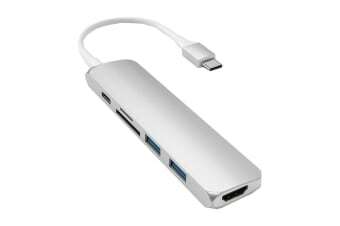 USB-C device must support DisplayPort over USB-C (Alt mode).